Love that surpasses knowledge. That's very difficult to explain, but when you have loved your spouse for decades and he or she is as close to you as any bodily organ, you experience what this means. When you love a child and do what you never dreamed you could do for another human being, you understand this phrase. And when you stand before God, adopted as a full heir of all his great riches, a full sibling to Jesus Christ the Lord, and know you are seen as holy, without reproach, and blameless, you begin to understand this phrase. 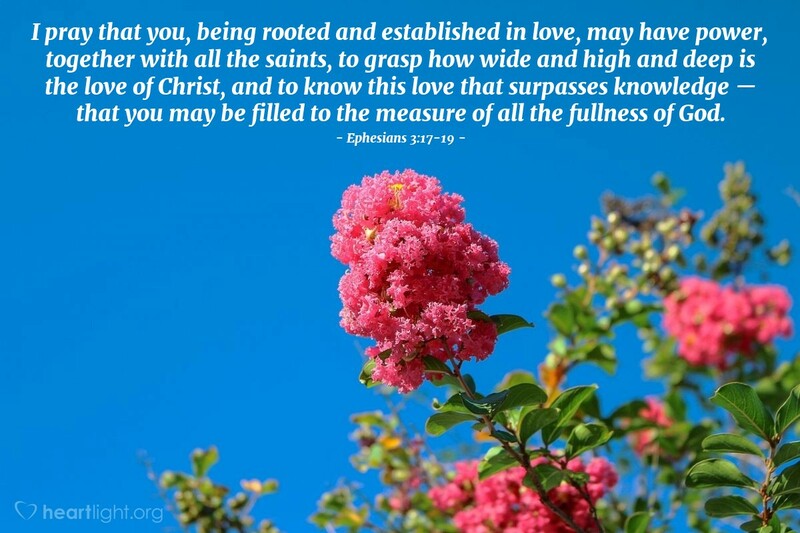 Holy and incredible God, help me to know in my soul the love that is greater than words and knowledge so that I may not only be like you but that I may know you in experience just as I know you in faith. Through Jesus, I pray. Amen.